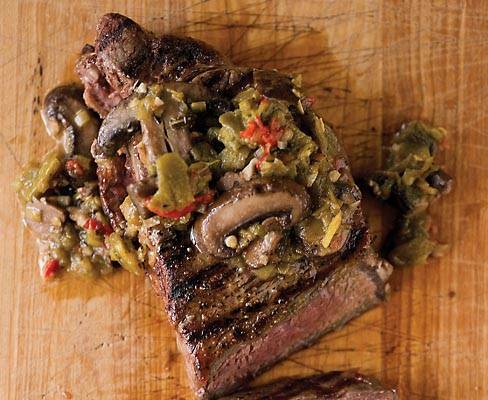 Whether you’re New Mexican born and bred or only wish you were, grilling should be in your cooking repertoire. People grill outdoors the world over, of course, but not everyplace has the favorable climate we enjoy throughout New Mexico, especially at this time of year. From Ratón to the southern reaches of the Río, we’ve got virtually no humidity, and nary a pesky mosquito or other busy bug in sight. We can light up the grill—or Dutch oven, wood-burning horno, or fire pit—in sunshine, surrounded by the great blue yonder, or under a star-filled night sky. Blend our flawless weather with bold Southwestern flavors, and we have a compelling recipe for hot times with family and friends. For complete grilling tips and recipes, click here.